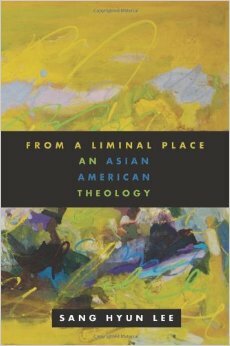 In his From a Liminal Place: An Asian American Theology, Sang Hyun Lee, a Korean American theologian, presents his practical theological analysis of the Asian American context, especially its bicultural nature. Two concepts are significant in his wring; liminality and marginality. Based on symbolic anthropologist Victor Turner’s positive conception of liminality, Lee argues that being situated in two different cultures is a profound and complex experience. In other words, it would naturally create a kind of in-between situation for life, or what may be called cultural limbo. This in-between situation then pushes someone who is in the midst of it to a place of liminality where new or creative possibilities of life are born. Lee believes in particular that this experience of cultural liminality in the Asian American context can produce three invaluable benefits: 1) openness to the new or hidden potentials of society, 2) the emergence of communitas, and 3) a creative space for prophetic knowledge and subversive action. Lee realizes that since Asian American Christians live in this unstructured, open-ended liminal space, they have a certain potential to come up with very new spiritual ideas, social structures, and cultural expressions that can contribute to the breadth, depth, and width of the existing society’s cultural life. Besides, these new hybrid Asian American Christians can help the emergence of communitas where people from all racial and ethnic groups would, together, create a community of harmony, justice, and peace. Last, but not least, thanks to the freedom from and critical response to the existing social structure, the Asian American Christians living through liminality could possibly serve as the prophetic agents of God vis-à-vis the oft-unjust dominant culture. Notwithstanding the possible benefits of cultural liminality, Lee finds that Asian Americans are not full beneficiaries yet. The reason for this is their inevitable experience of systematic marginalization and discrimination by the dominant culture, which socially, politically, and economically suppresses their liminal potential and possibility, so that they often completely retreat from the public social arena out of fear of total eradication. Lee believes marginalization can be overcome by relying on and proclaiming the gospel message of Jesus Christ who once lived in a marginal place, yet completely overcame it. Asian American theology in general focuses on such subjects as identity establishment, multicultural faith or social conscience, feminist-liberation, religious diversity, racial conflict and reconciliation, faith in the era of globalization, etc. Among these various themes, the most fundamental is the establishment of a unique Asian American identity, says Lee. He argues that the Asian American identity crisis, which happens due to oscillation between Asian and American cultures, is so fundamental to the Asian American mind and faith that most Asian American theological discussion has begun from the deep concern with it. Jung Young Lee, another Korean American theologian, agrees with Sang Hyun Lee when he states that the marginal status of Asian Americans, which requires the building of a new positive identity, has become the key theological concern in the Asian American context.1 Both theologians interpret the marginal status of Asian Americans as biblical (e.g., Jesus once lived at the margins) and positive (e.g., Jesus gathered up and transformed the marginalized into his own people) for a new and transformative Asian American identity formation in Christian faith.